"To put in perspective, this is enough to kill every man, woman and child in Alberta about 45 times over," said Edmonton public health doctor Hakique Virani. Researchers invented the drug at the University of Alberta in the 1980s; W-18 was patented in 1984, but was only used for scientific research, according to the article. W-18 was part of series of analogues developed; number 18 was the strongest and most deadly. 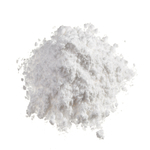 What’s interesting is the fact while W-18 was invented in Canada; the powder that police officials have seized was likely produced in a clandestine laboratory in China. In the United States, we have been trying to stem the tide of synthetic drugs being produced in China. Many of the chemicals used to make synthetic marijuana and/or bath salts are not banned, both federal and local authorities are doing everything in their power to keep up with the ever changing chemical variations. The story is not too dissimilar with W-18; the drug is not regulated under Canada's Controlled Drugs and Substances Act, the article notes. "That once again shows a reason to explore other ways of banning substances not just by chemical structure but by their pharmaceutical action in the brain," said Jim Hall, an epidemiologist at Nova Southeastern University in Florida. Alberta has been hit hard by fentanyl, much like the U.S., so there is an urgency to get W-18 on the list of controlled substances. Last year, 272 Albertans lost their lives due to a fentanyl overdose. It would seem that W-18 should be a controlled substance in America; we are likely to hear more about this deadly drug in the coming months.